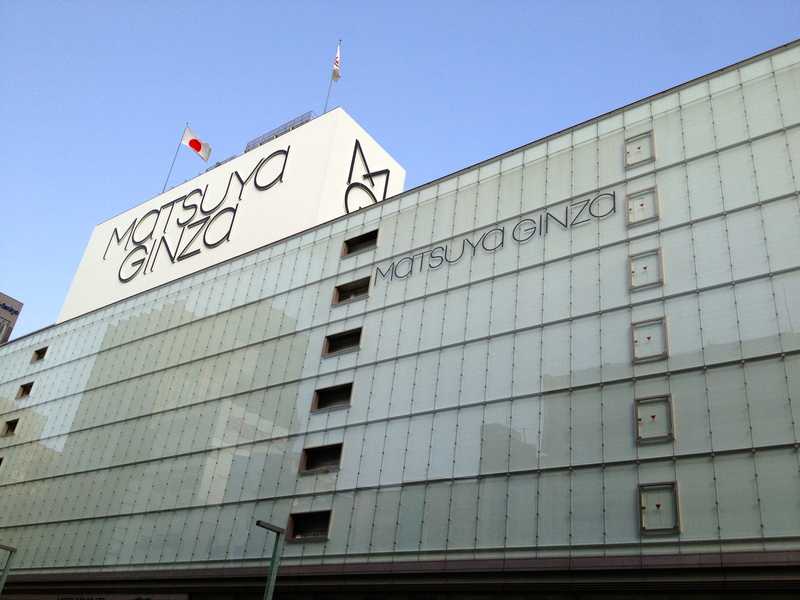 Mother of All Shopping Areas… Ginza: 銀座 | Dream! Go! Live! Posted on April 18, 2013	by dream!go!live! 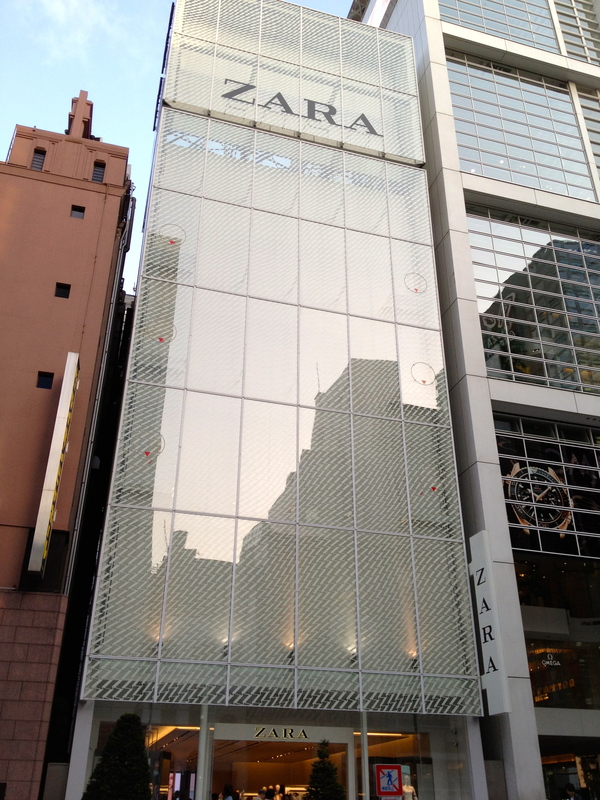 Today was all about window shopping in Ginza (銀座). 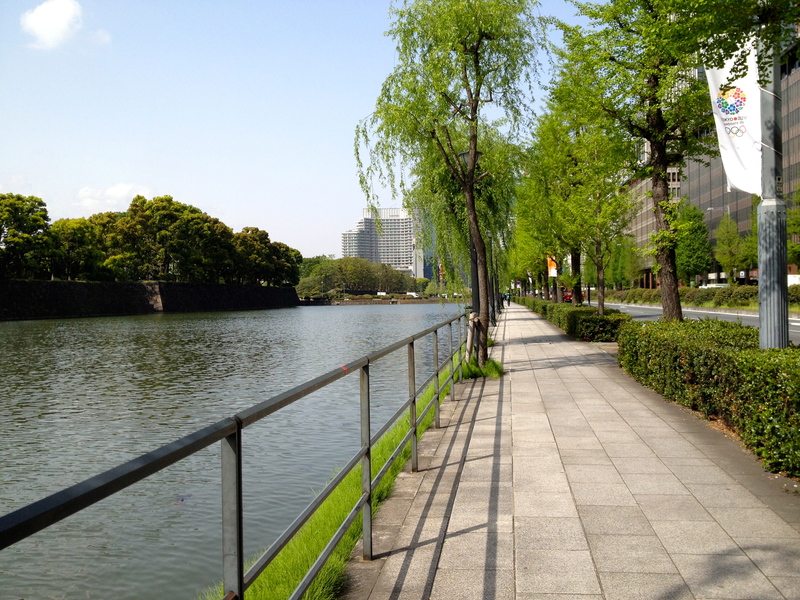 All told, I think I walked about 13km – 15km (~9miles) today which included my walking to and from Ginza. 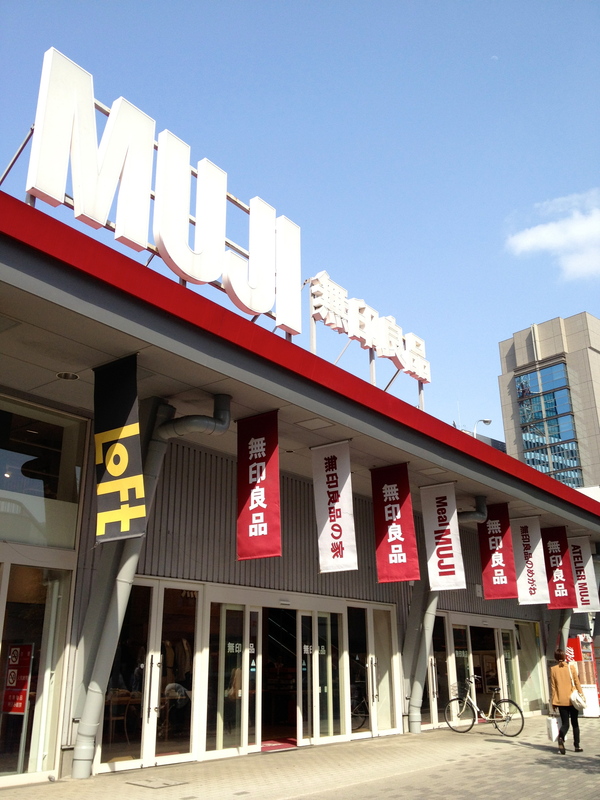 My first stop of the day was the Muji flagship store (無印良品, Mujirushi Ryōhin– No Brand Quality Goods). 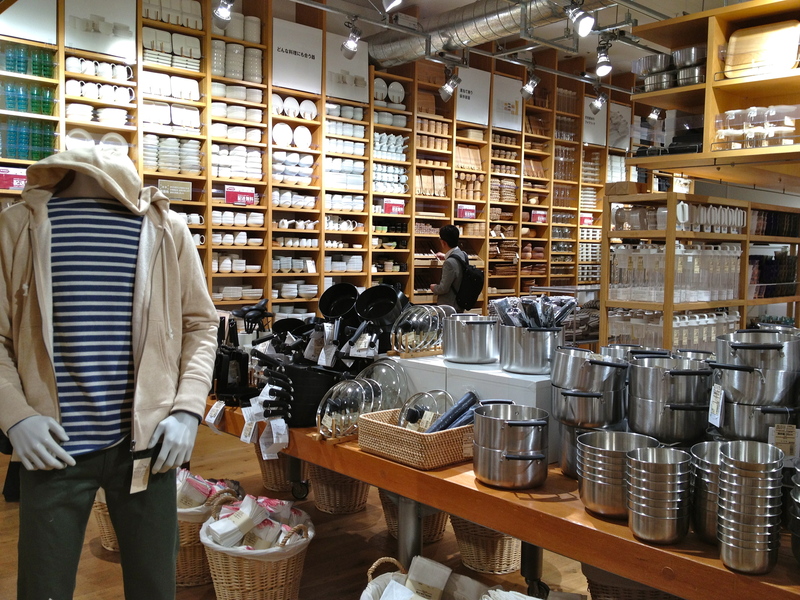 There are multiple Muji stores in New York and I’ve been to other Muji stores around the world, but this Muji was the ultimate mother ship. 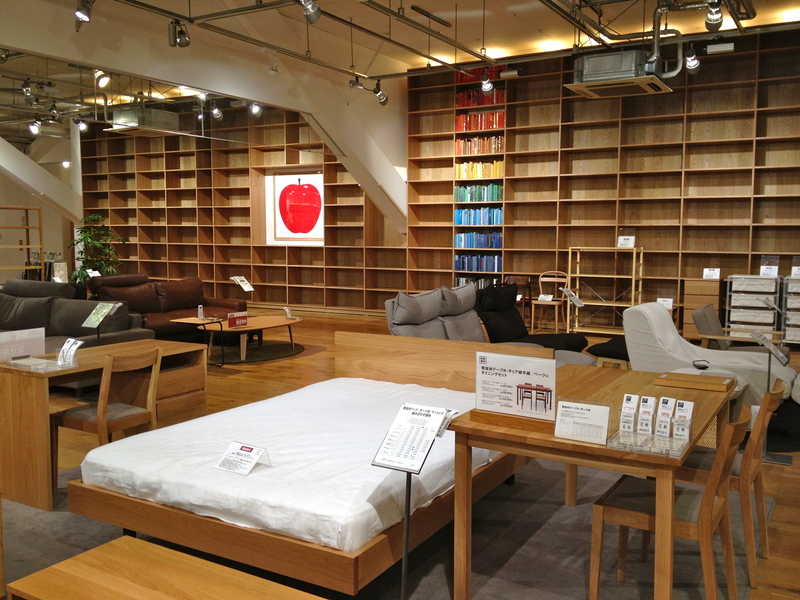 I love Muji for its simplicity and clean minimal aesthetic. 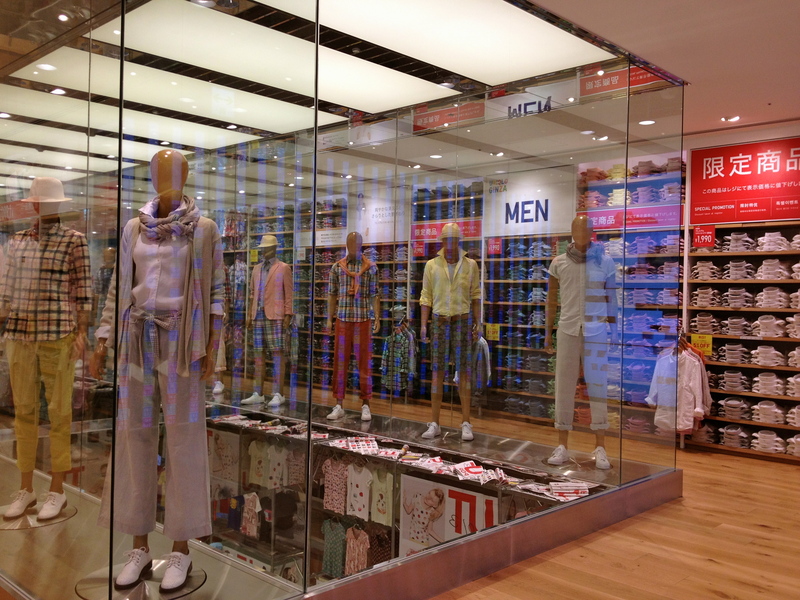 Their clothing follows the same design concept, with black, white, beige, blue, and grey as their colors of choice. 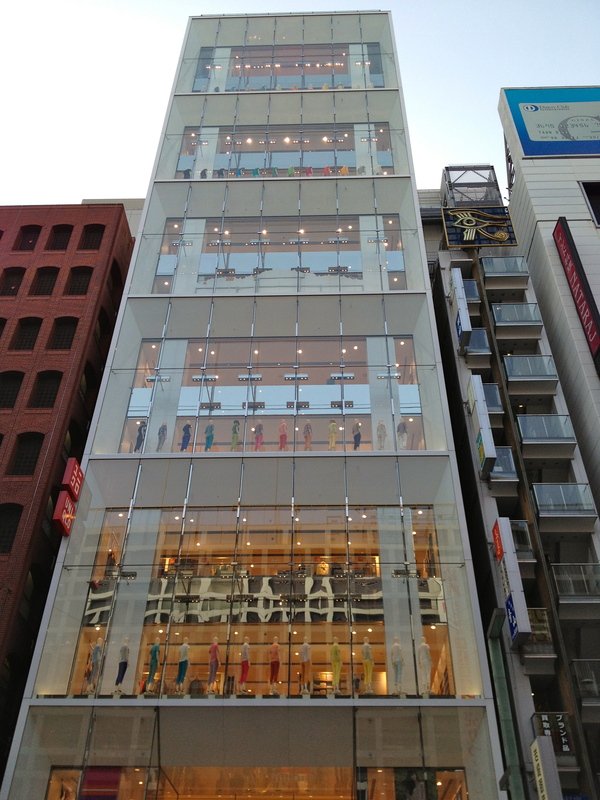 Three whole floors of goodness. 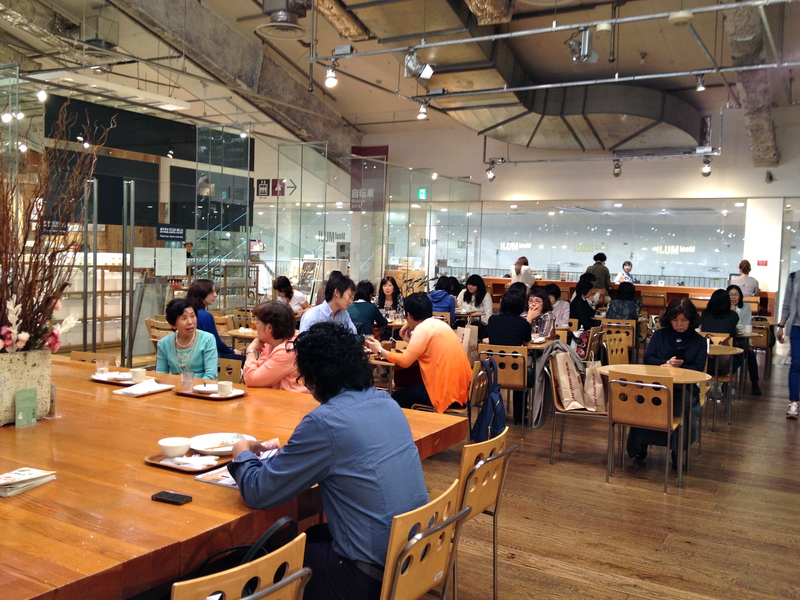 The large cafe on the second floor was like an IKEA cafeteria but nicer. You first pick up one of these place cards and find yourself a table or a seat at the communal table. 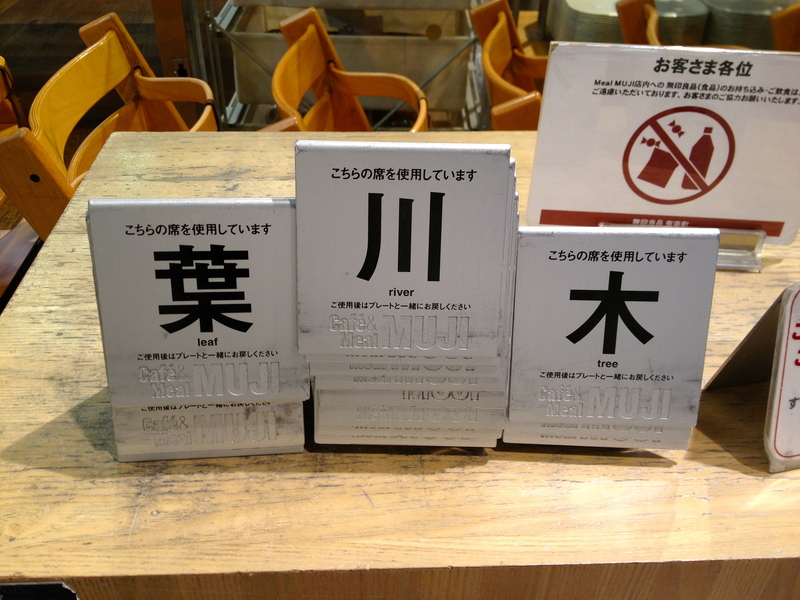 You reserve your seat by placing the card and then walk over to the bakery area or to the counter where you tell the staff what you want. 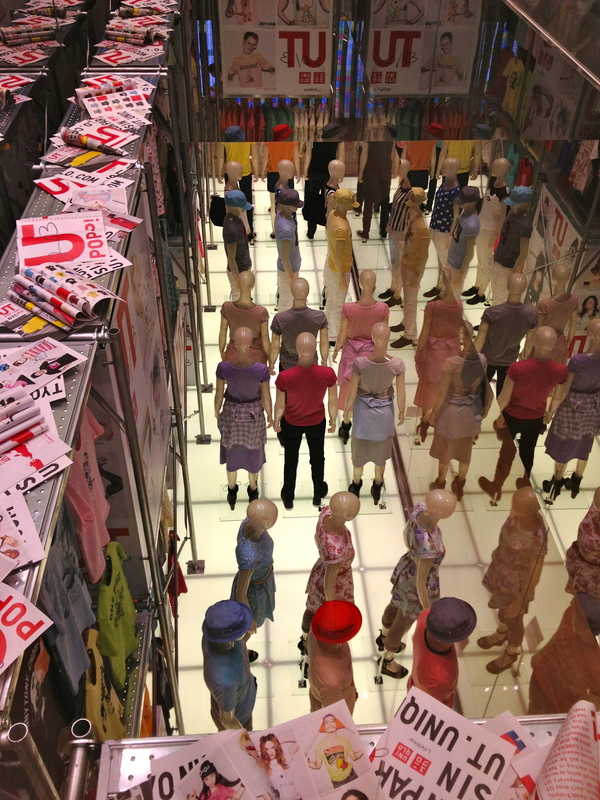 It wouldn’t be Japan without wax models of what’s on offer. 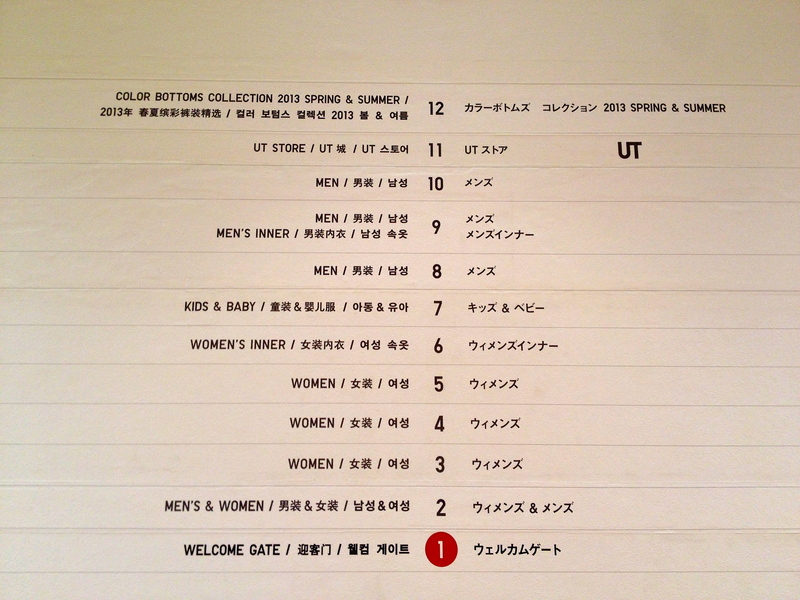 Their menu is simple. 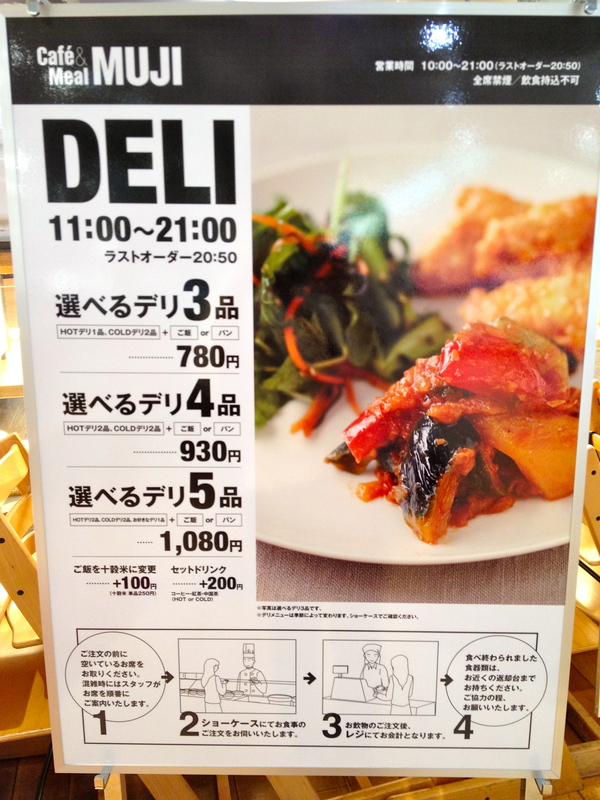 You can get 3 items (1 hot, 2 cold) with rice or bread for ¥780 (~$8), 4 items (2 hot, 2 cold) for ¥930, etc. 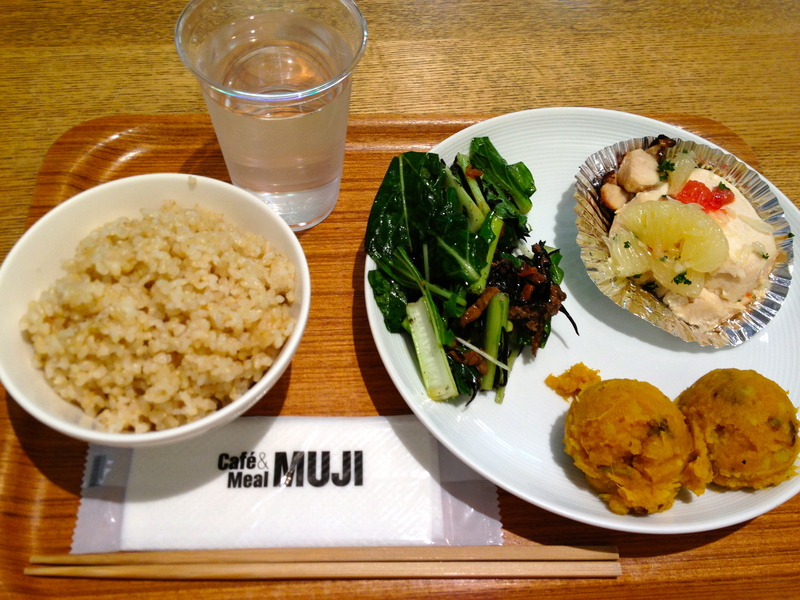 I paid an extra ¥100 to get brown rice. 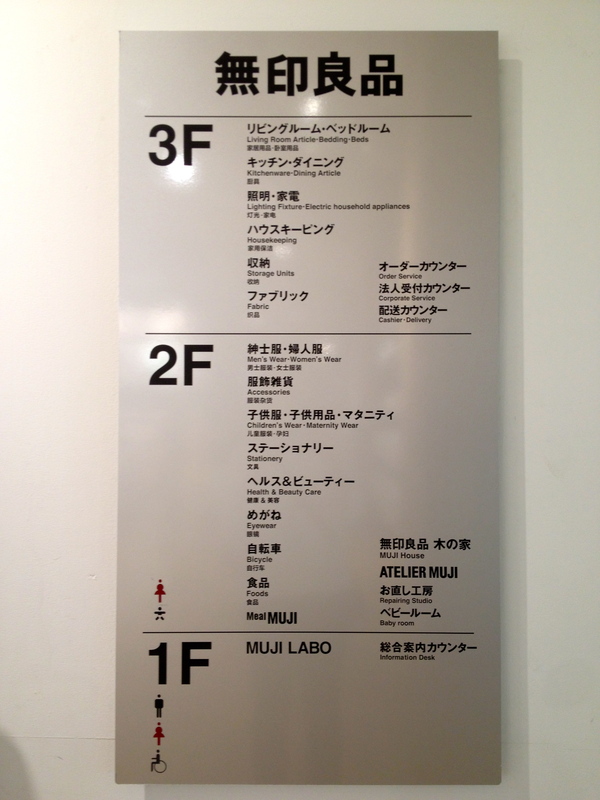 When I first arrived at Muji I noticed a sign that showed what time pastries came out of their onsite bakery. I popped over at 15:00 to pick up a couple of things. 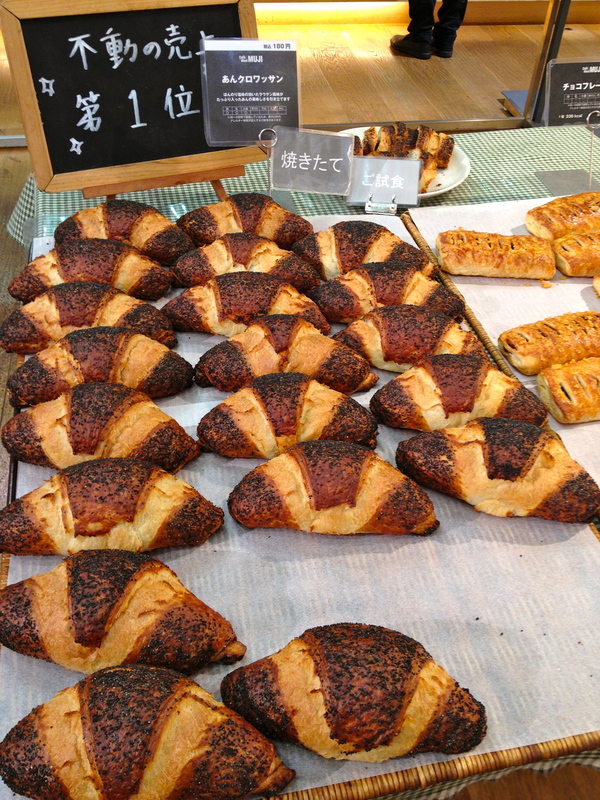 Their #1 seller is this croissant shaped pretzel filled with anko (sweetened red bean paste). 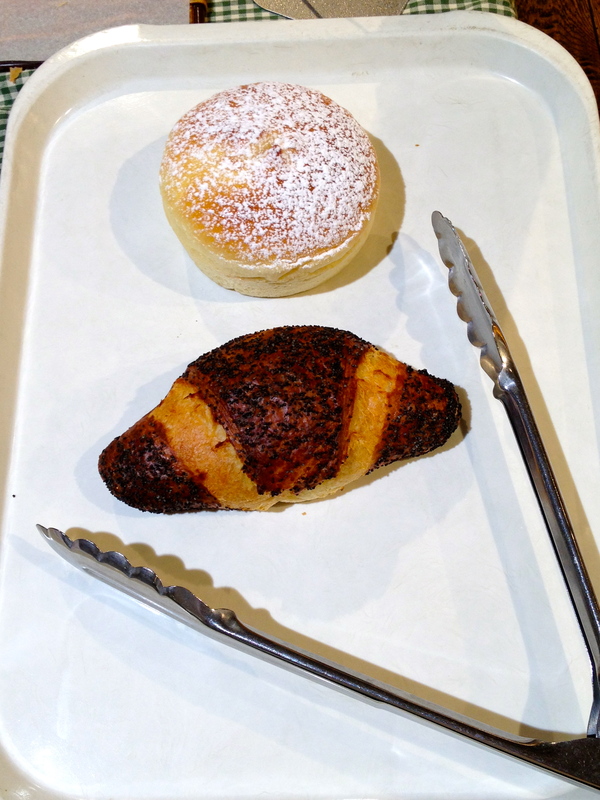 I have to say, this was one of the yummiest baked goods I’ve ever had. 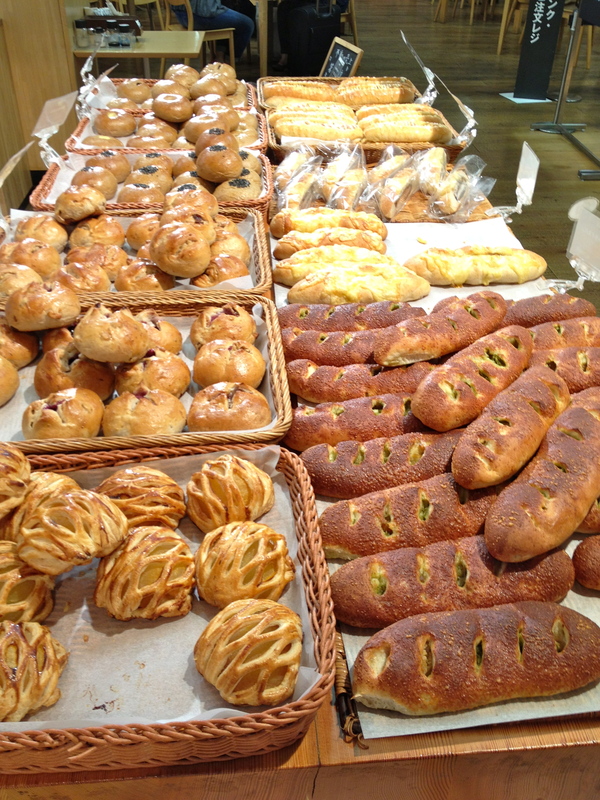 It wasn’t too sweet, too buttery, or too salty… what an interesting combination of east meets west?! 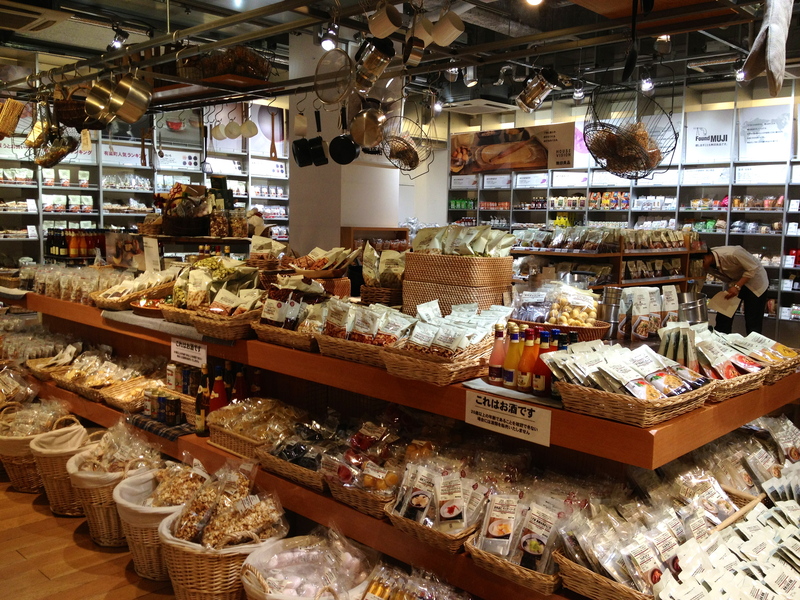 Muji not only has clothing and stationary, it also has a ton of grocery items from packs of Muji ramen noodles to dried squid to pasta sauce. 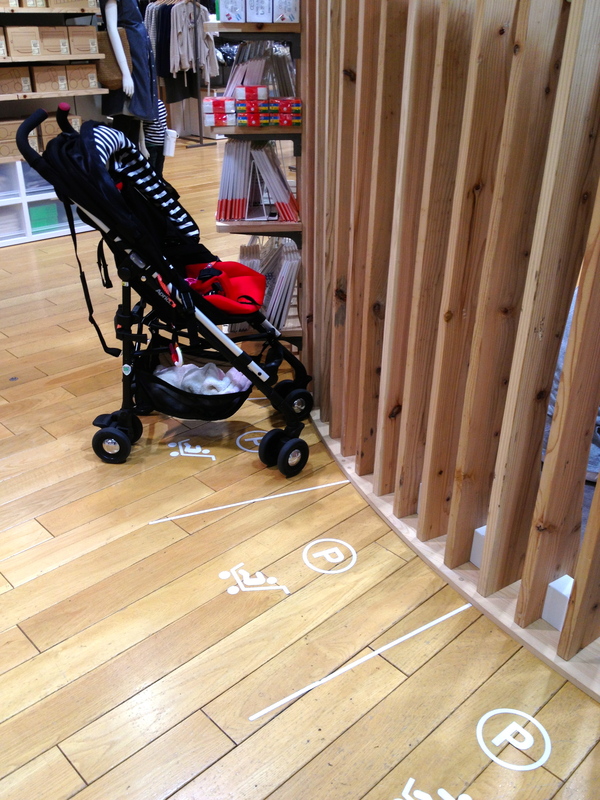 This Muji store had the cutest children’s section, a large space for kids to play, and this adorable stroller parking area. 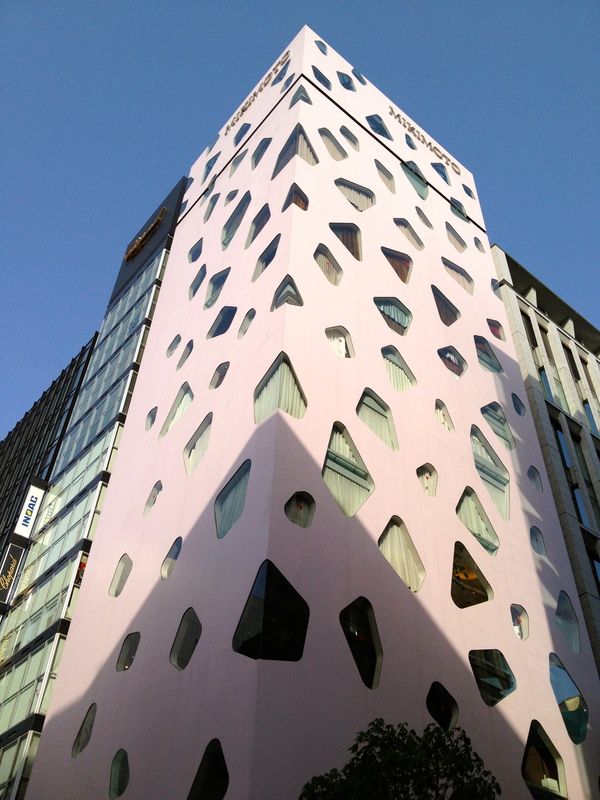 I could have spent the entire day at Muji, but I walked out and started to wander around Ginza, looking up at all the cool buildings. 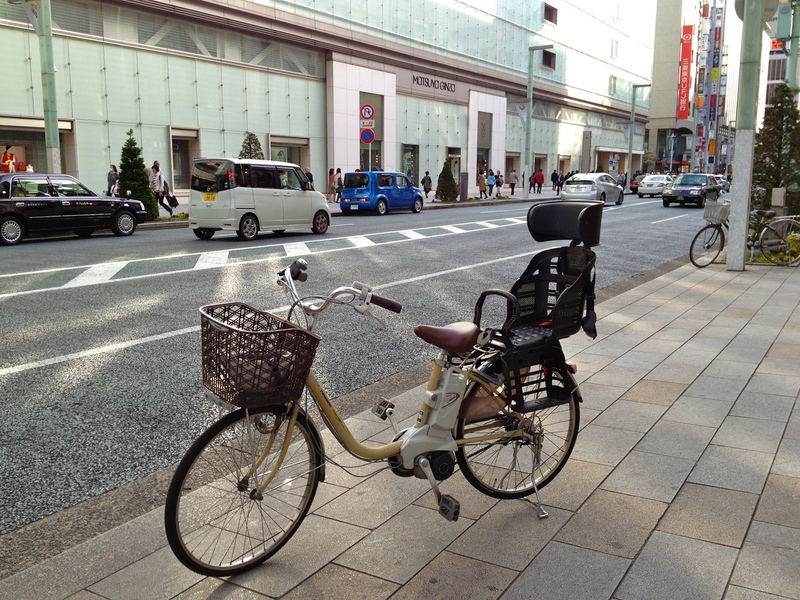 There are bikes all over Tokyo without any locks. 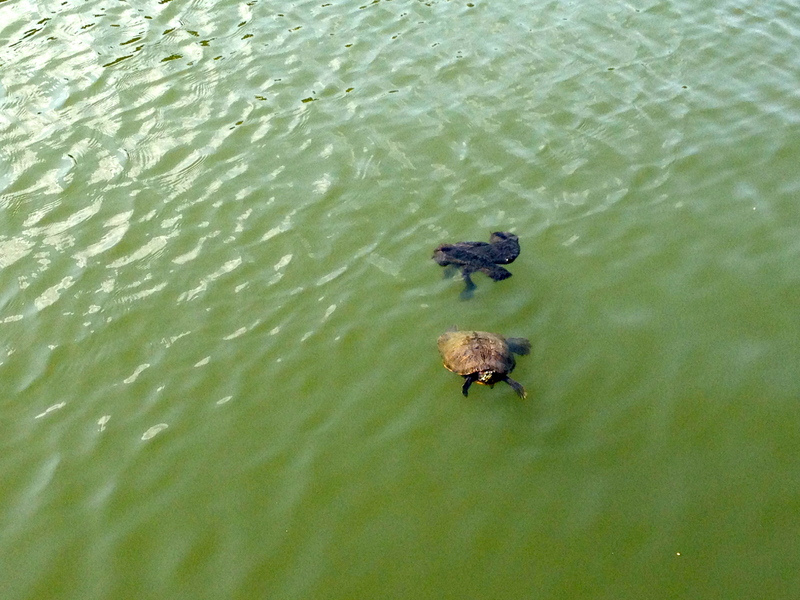 This, would not/could not happen in New York. Can you imagine leaving your bike like this on 5th Avenue? 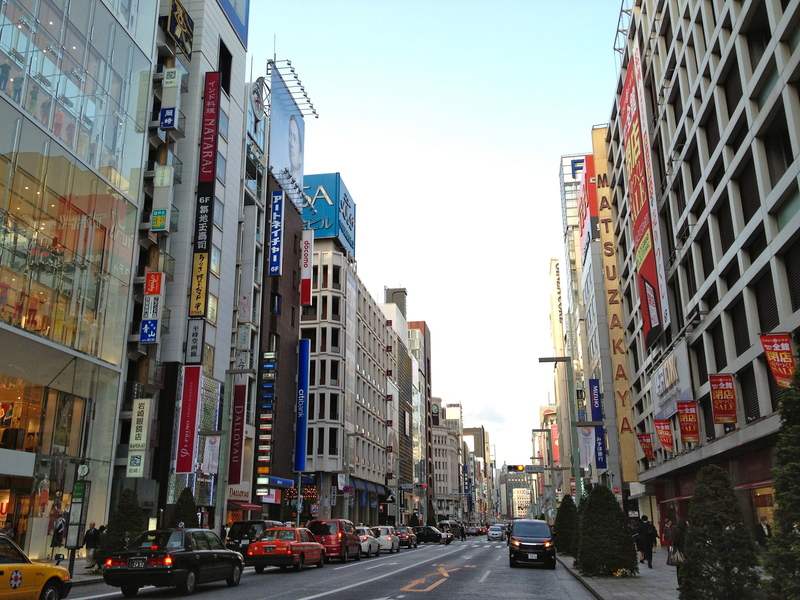 I never spent much time in Ginza before and it struck me how much it reminded me of Madison or 5th Avenue in Manhattan. 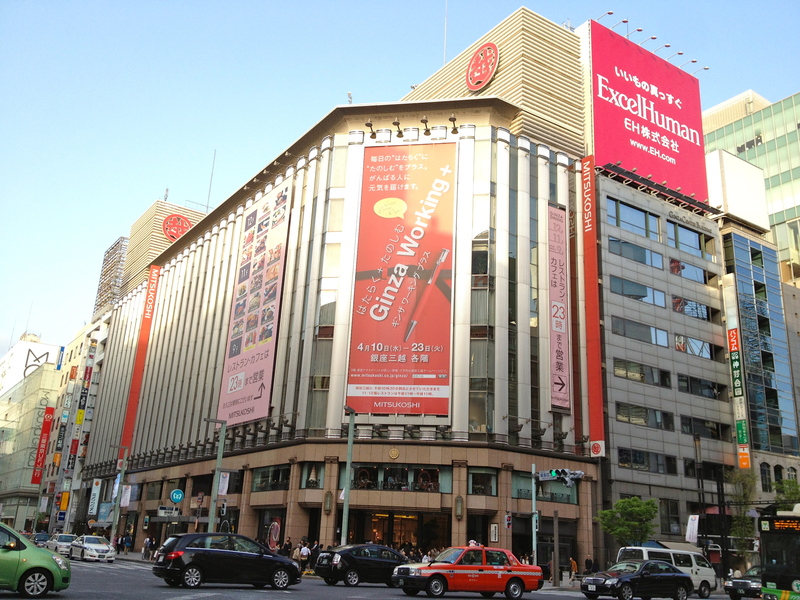 Every brand name or luxury retailer had a large presence in Ginza, but what set it apart from Manhattan were the flagship stores of the Japanese brands. 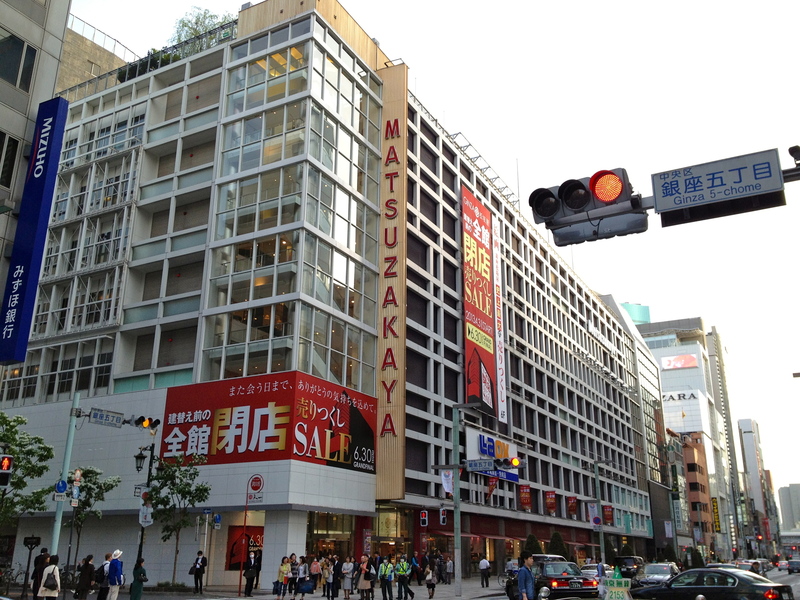 Of course there were all the fancy Japanese department stores (or as they say here, depa-ah-to). 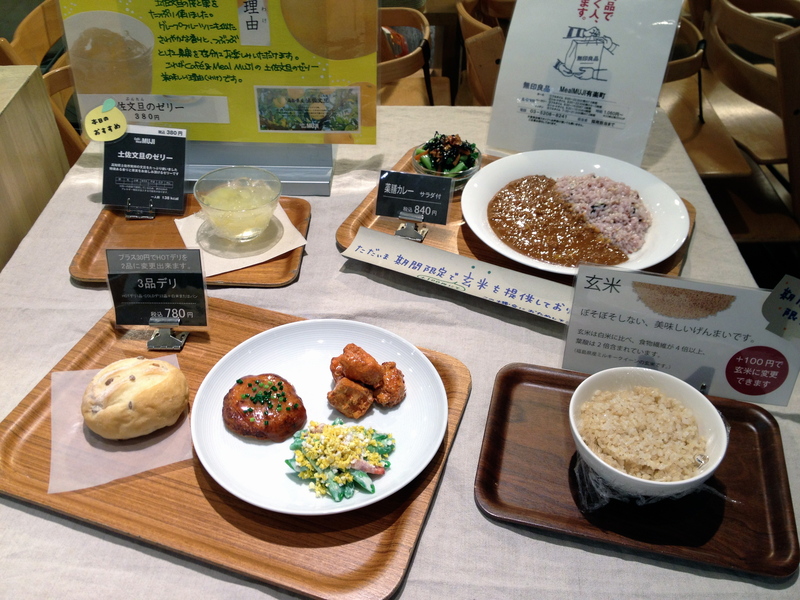 Mitsukoshi Ginza has an amazing basement food area. 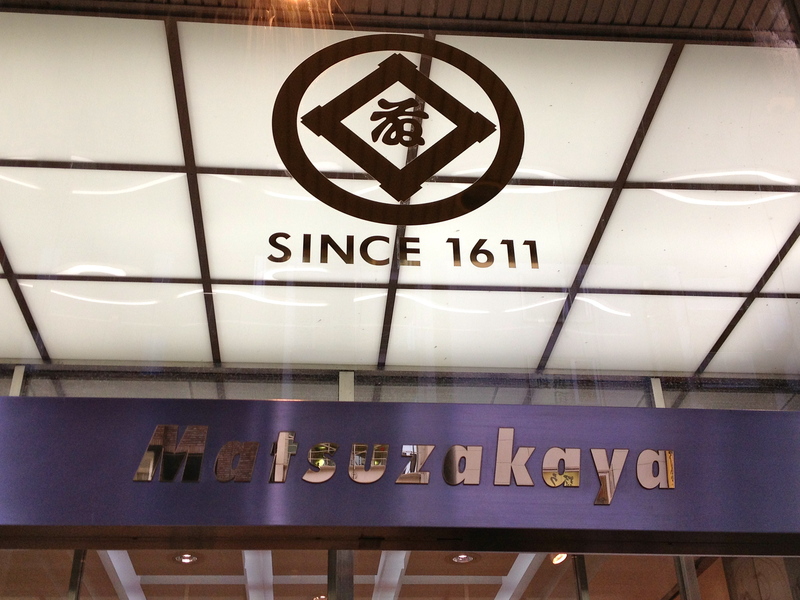 Matsuzakaya has been around for 400+ years! 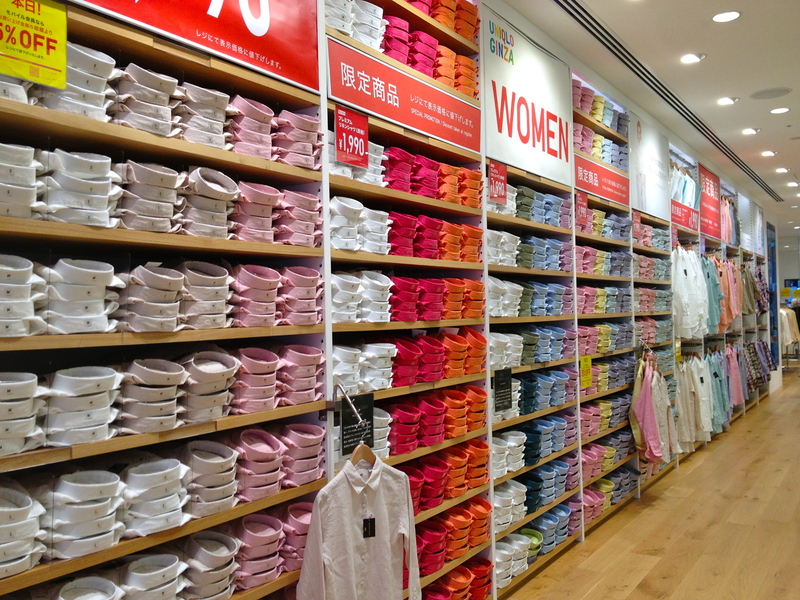 The mother of all Uniqlo (Japanese Gap), i.e. 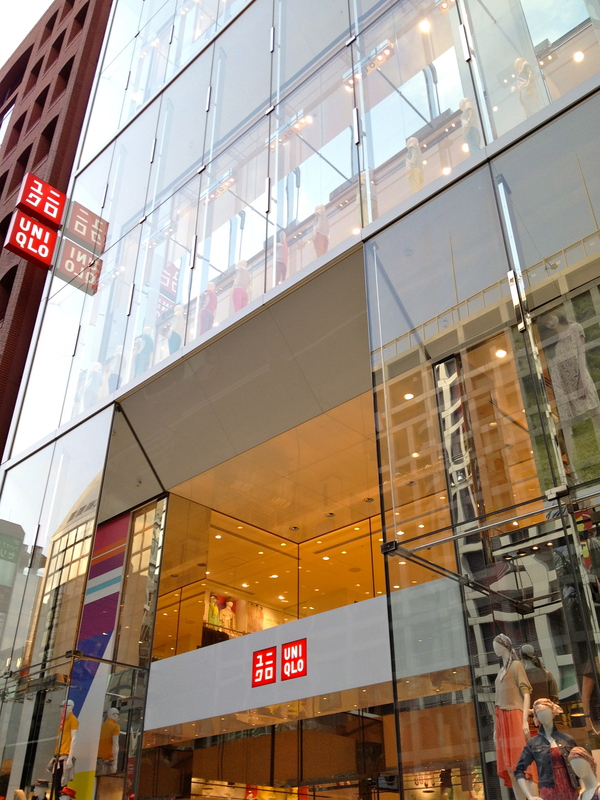 Uniqlo’s flagship store is also in Ginza. 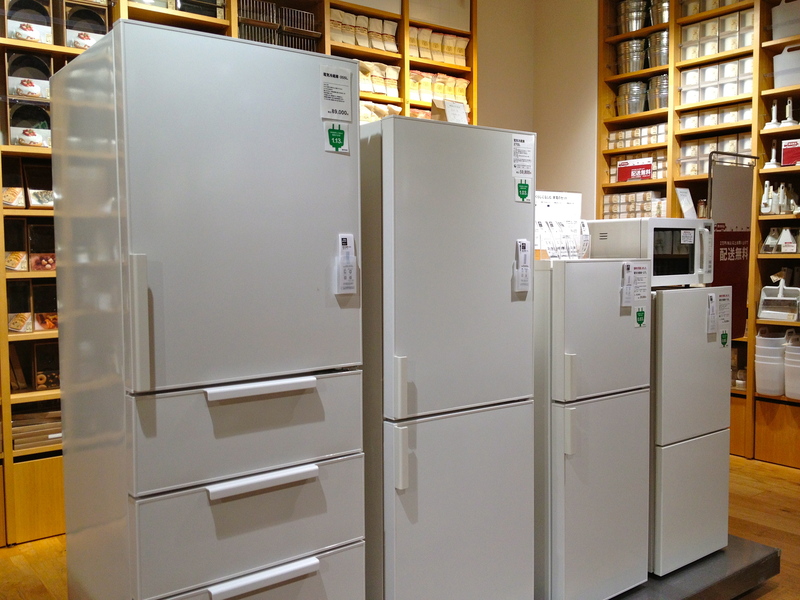 I thought the one in Manhattan was big. 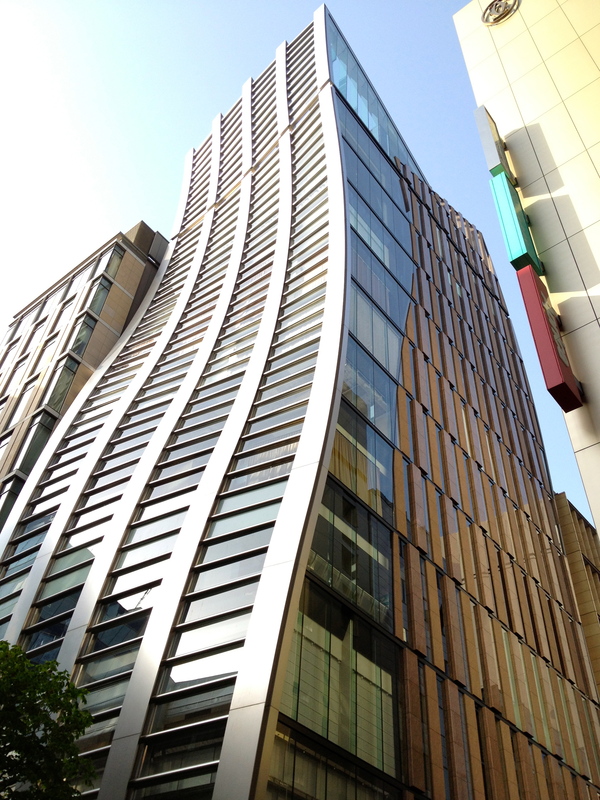 This place has 12 floors! 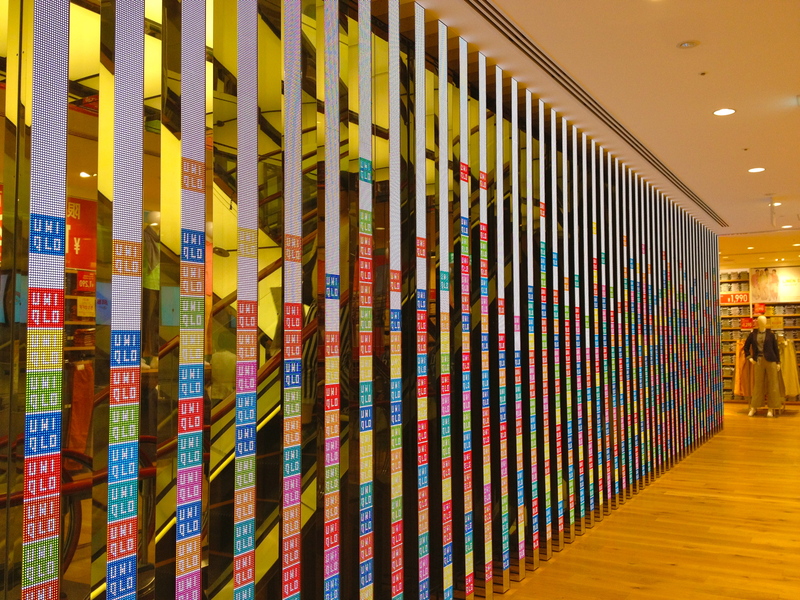 It was so tall that I couldn’t get the whole building into one shot. 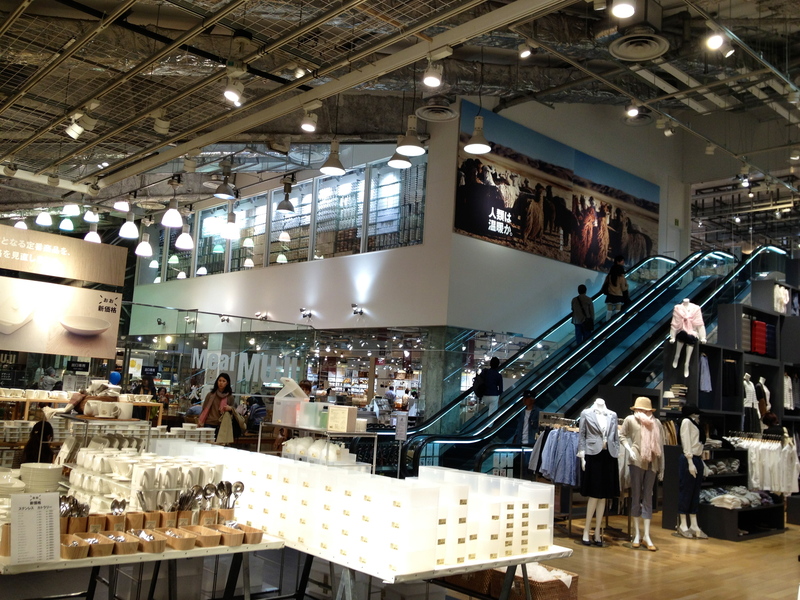 This was the largest Zara stores I’d ever seen! 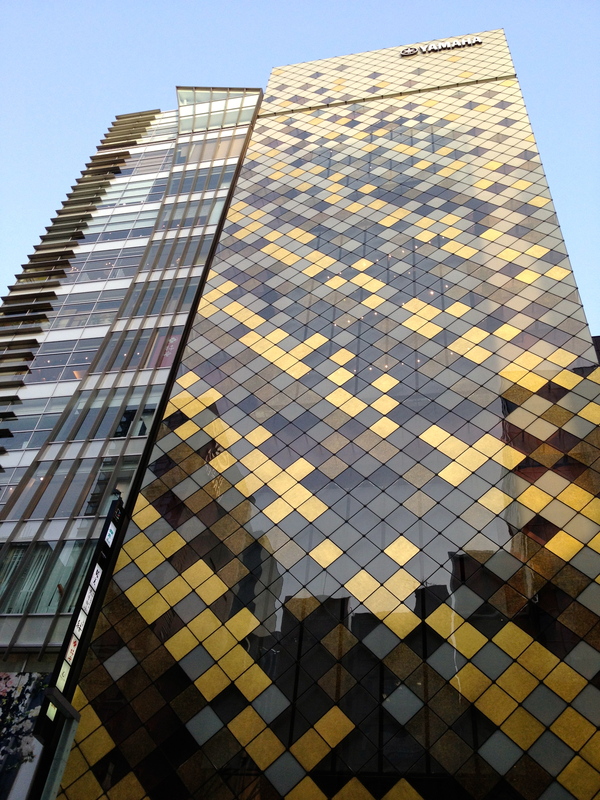 I really liked the way the Yamaha building looked in the afternoon light. 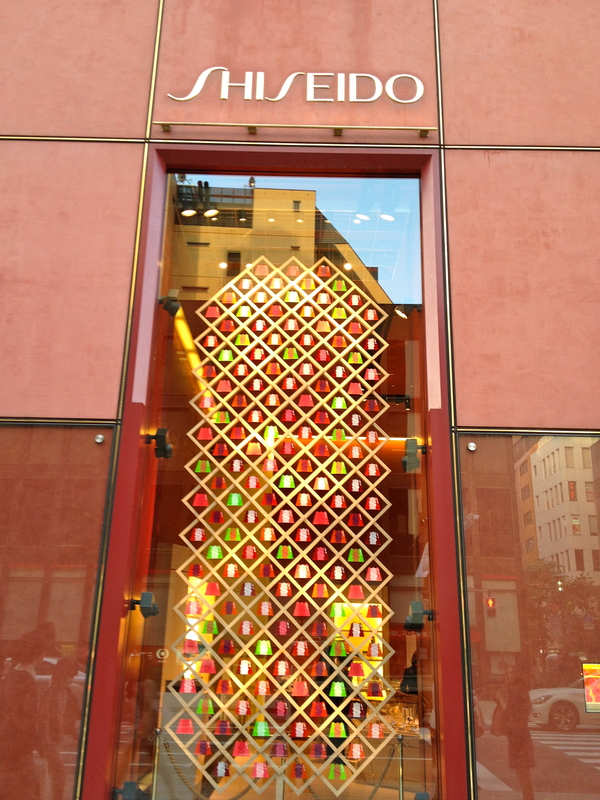 The building next to it was H & M.
This window display at the flagship Shiseido store was precious. 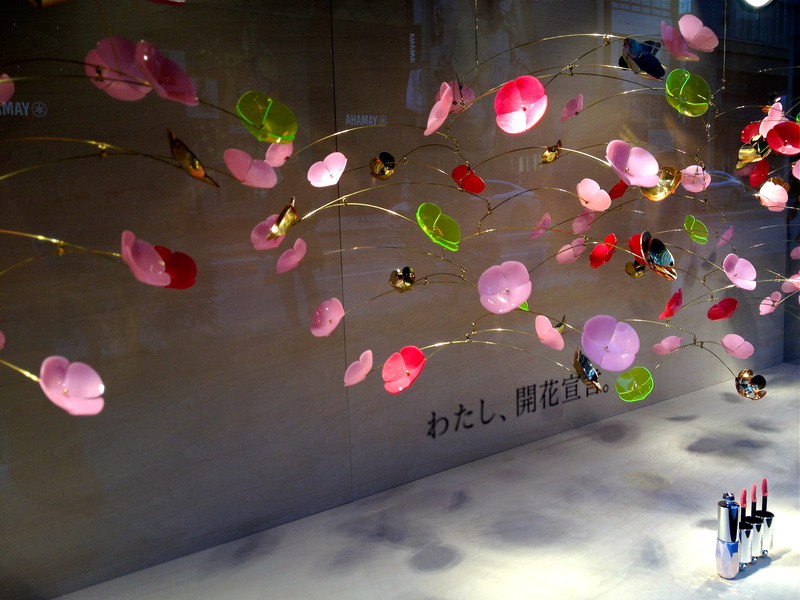 The flower petal mobile gently whirled around. 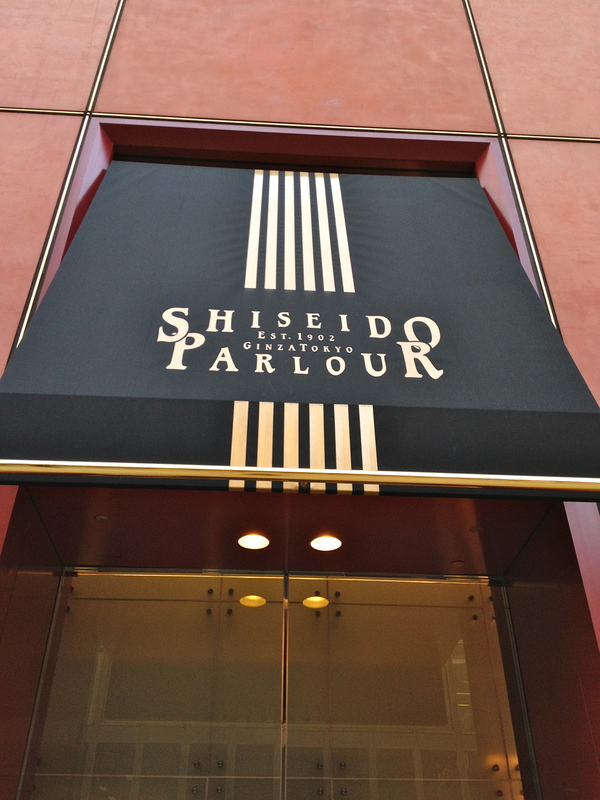 The sign says the parlour at Shiseido started in 1902. I haven’t been there but I imagine posh Japanese society ladies lunch and tea in their finest outfits (see website here). I think the weather’s looking good again tomorrow. Where to next? 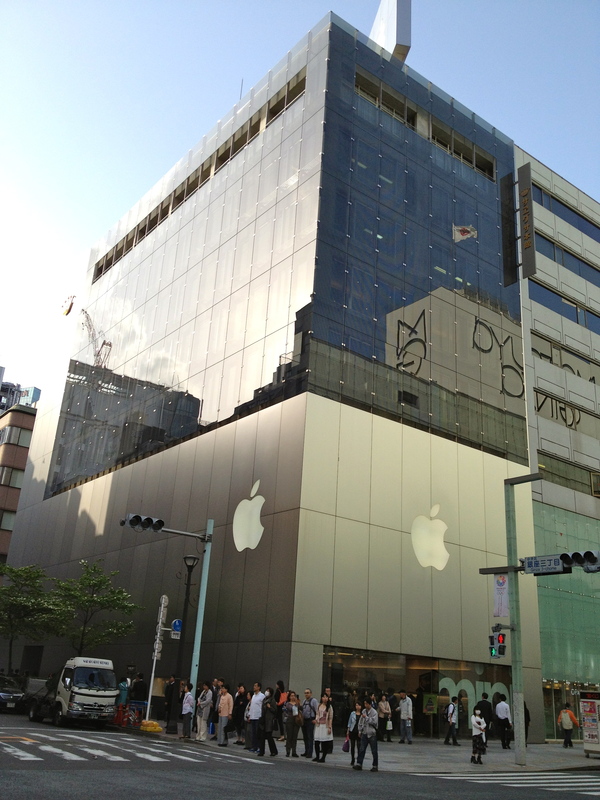 This entry was posted in 2013, Japan, Travel and tagged Apple Store Tokyo, Cafe & Meal Muji, De Beers Ginza, 銀座, Flagship Stores, Ginza, Ginza Mitsukoshi, Japanese Department Stores, Matsuzakaya, Mikimoto Ginza, Muji Cafe, Muji Flagship Store, Muji Ginza, Mujirushi Ryōhin, Neighborhoods in Tokyo, Retail, Shopping, Things to Do in Tokyo, Tokyo, Tokyo Architecture, Tokyo Neighborhood, Uniqlo Flagship Store. Bookmark the permalink.